With so many contracts and policies available, making the right decision can feel daunting. We will analyse which type of policy best suits to your circumstances and the amount of life cover you need. We will also ensure premiums are affordable and how to effect the correct contract depending on your priorities and your need to protect your family, your business, your mortgage or other debts including future inheritance tax liabilities. Income Protection – Provides a regular income if you are unable to work due to an accident or illness. Critical Illness – Provides a lump sum payment on diagnosis of a specified illness (e.g. cancer, heart attack or stroke). 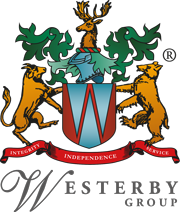 Westerby Investment Management offers financial advice about an extensive range of products for businesses including Group Life cover and Permanent Health Insurance (PHI).